In our last post, we talked about how you can better fuel total recovery for your body. This helps you get the most out of the time you spent at the gym while keeping your whole body healthy and happy. Without a recovery plan, you can wind up struggling to see results. Today we want to go one step further and dive into the details about the importance of sleep. Here at our fitness club in Fort Lauderdale, our personal trainers work to empower you to lead a healthier life. From dialing in your nutritional plan to high-intensity workouts, we provide you with the tools you need to reach the level of fitness you’ve been dreaming about. Check out the following reasons why you need to invest in quality zzz’s before visiting our gym. Have you ever made it through a long day only to head to the gym and trudge through a workout? Perhaps you get up first thing and head to a class, but a lack of sleep has left you groggy and barely capable of tackling the routine. A lack of sleep can make it difficult for you to push through the harder components of your daily fitness class. One of the best ways to ensure that you can see your workout through from start to finish is to be properly rested. When you get adequate sleep each night, you will have the energy you need to tackle even the most difficult days at the gym. We touched on this briefly in our last post about total recovery, but it bears repeating — without adequate sleep your muscles cannot recover or grow. When you take the time to focus on quality sleep each night, you give your body a chance to replenish cells, perform maintenance throughout your body, and build muscles. In fact, during sleep, your body triggers the release of hormones that are responsible for muscle tissue growth. Many people who find themselves struggling to see results at the gym are not allowing enough rest time. Make sure that you factor in enough sleep each night to allow your body to turn your hard work into results. 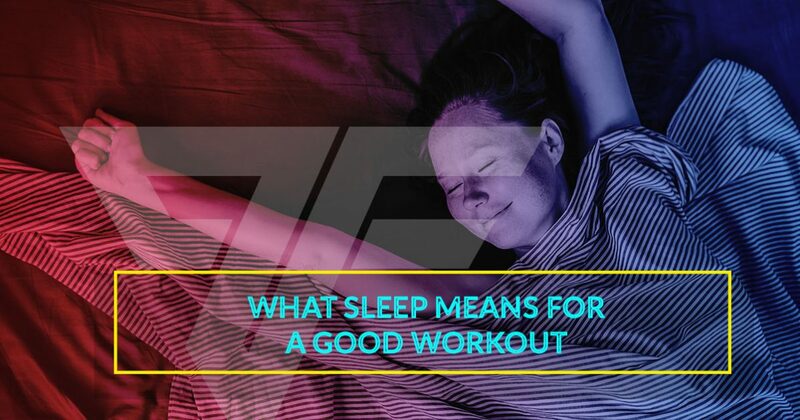 Not only does adequate sleep provide you with the energy you need to make it through your workout, but it also offers you a clear mind and improved mood. Being sleep-deprived can cause you to feel increasingly depressed and foggy headed. If you want to hit the gym in your best state of mind, make sure you carve out plenty of time for good sleep. This will provide you with the mentality you need to stick with your fitness regimen. Finally, without enough rest, your body will struggle to fight common illnesses. During sleep, your body is able to produce more white blood cells, which help to fight viruses and bacteria. This will prevent you from missing out on important workouts due to catching a cold or another sickness. At our fitness club in Fort Lauderdale, we focus on full body wellness. We help you pair proper nutrition and rest with the ideal workouts for your needs. Our goal is to help you find the fitness you seek while challenging you and motivating you to reach heights you never dreamed possible. Come visit us today and get pumped!